You'll be £11.99 closer to your next £10.00 credit when you purchase Chieftain. What's this? The British Chieftain – designed in the late 1950s as the replacement for the Centurion – was perhaps the best main battle tank in service with Nato during the 1960s and 1970s. 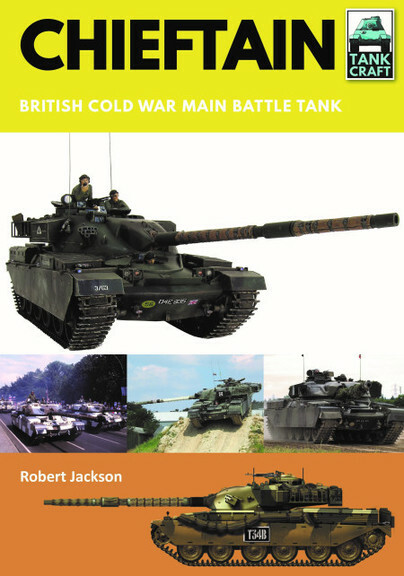 Its 120mm rifled main gun and advanced armour made it one of the most formidable tanks of its time, and Robert Jackson’s book is an authoritative introduction to it. As well as tracing the history of the Chieftain, Robert Jackson's work provides an excellent source of reference for the modeller, providing details of available kits and photographs of award-winning models, together with artworks showing the colour schemes applied to these tanks. Each section of the book is supported by a wealth of archive photographs.